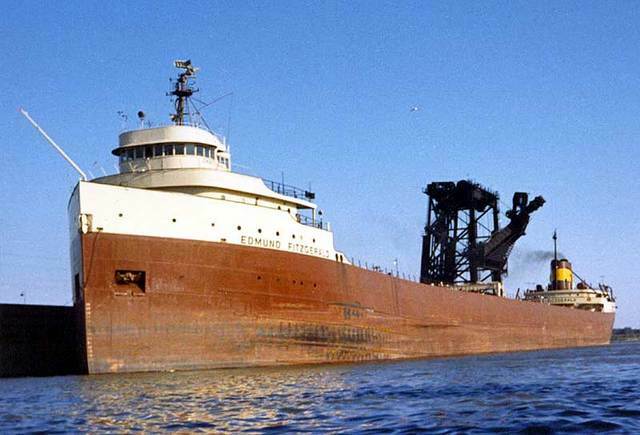 SS Edmund Fitzgerald (nicknamed "Mighty Fitz," "The Fitz," or "The Big Fitz") was an American Great Lakes freighter launched on June 8, 1958. Until 1971 she was the largest ship on the Great Lakes. Although she had reported having some difficulties during a gale on Lake Superior, the Fitzgerald sank suddenly on November 10, 1975 in 530 feet (160 m) of water without sending any distress signals. The site of the loss is: 46°59.9?N 85°06.6?W? / ?46.9983°N 85.11°W? / 46.9983; -85.11, in Canadian waters approximately 17 miles (15 nmi; 27 km) from the entrance to Whitefish Bay. All 29 hands in the crew perished, presumably by drowning. 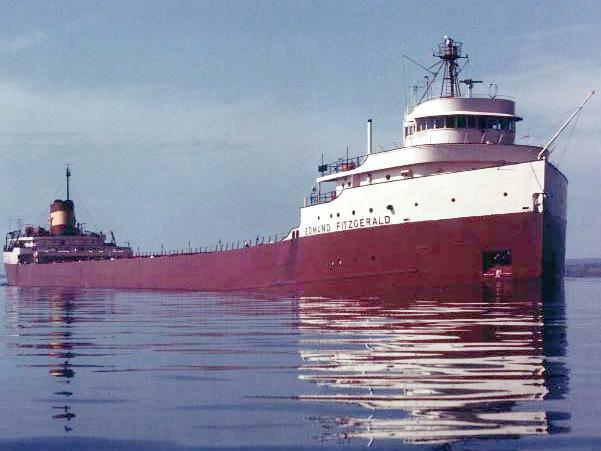 The incident is the most famous disaster in the history of Great Lakes shipping, and is the subject of Gordon Lightfoot's hit song, "The Wreck Of The Edmund Fitzgerald."